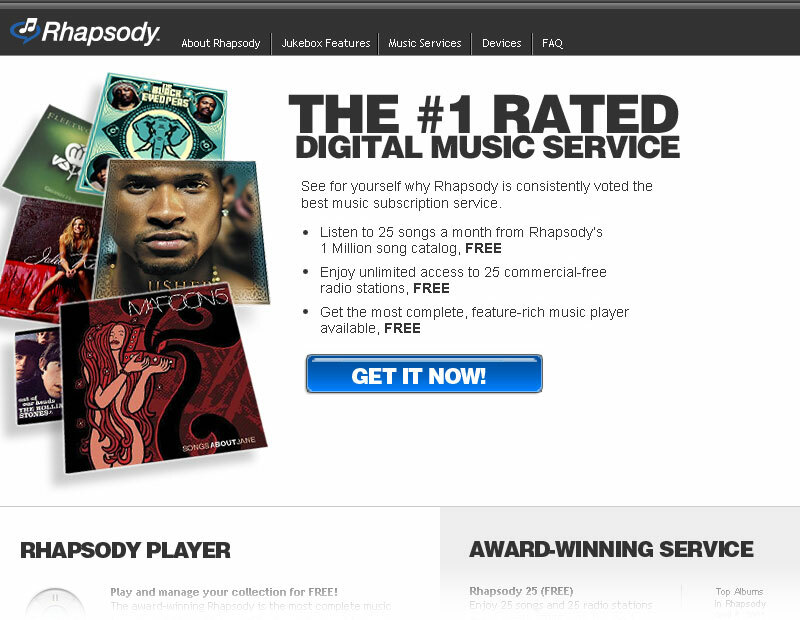 Design Challenge: Create marketing materials for the Rhapsody music service. 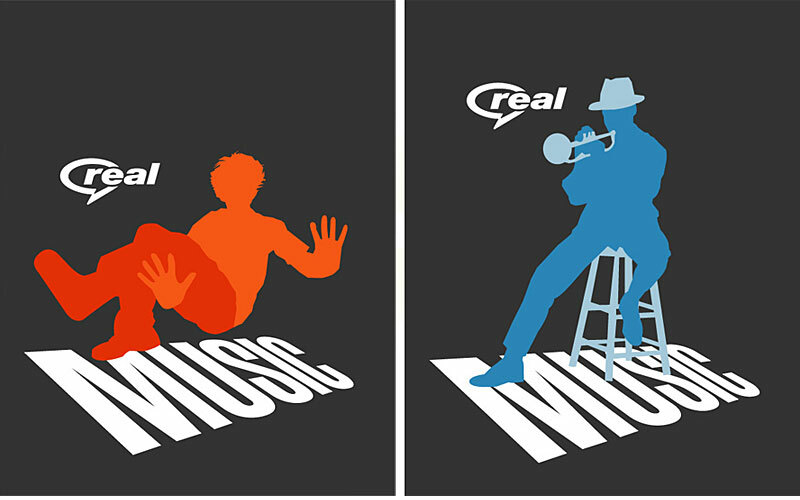 From 2002-2006 I was the marketing designer for Rhapsody. In that role I created ads, microsites, websites, and printed material. Here are a few of my favorite pieces. Here are two T-shirt designs I created as part of a larger set. I loved playing with the type and color compositions. The concept of this page was to show elements of the player and highlights of the service. I created a composition of album covers that were easy to update and test.